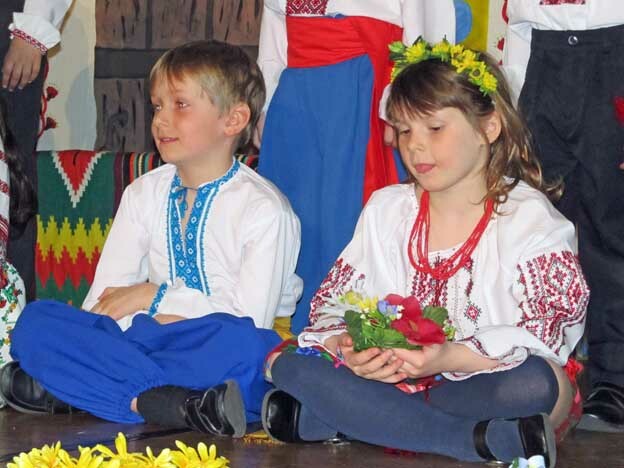 The busiest and most exciting day of Ukrainian Week is Thursday, the day of the concert. 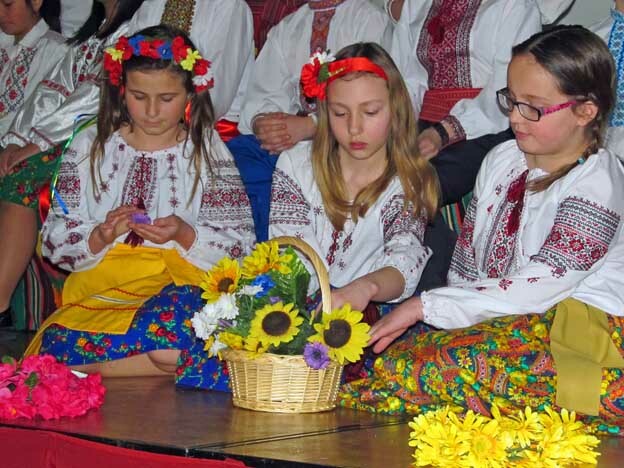 The Ukrainian concert is the most important event of the week, and the culmination of many hours of practice and preparation. It involves all the staff and students of IHMS, as well as hundreds of visitors to the school. 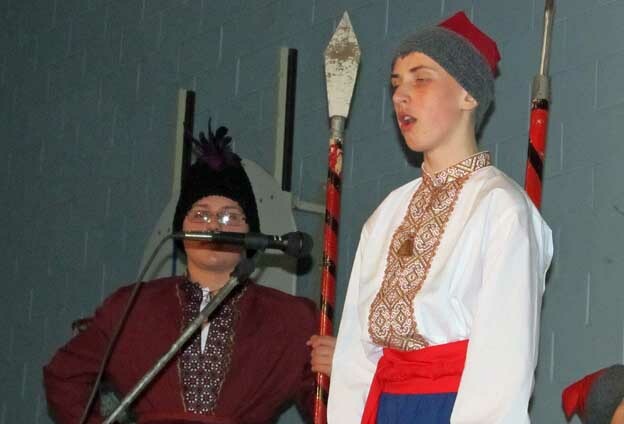 On Thursday, March 27th, 2014, the K-8 students of IHMS gave two excellent performances of “Taras Shevchenko – Sun of Ukraine”. 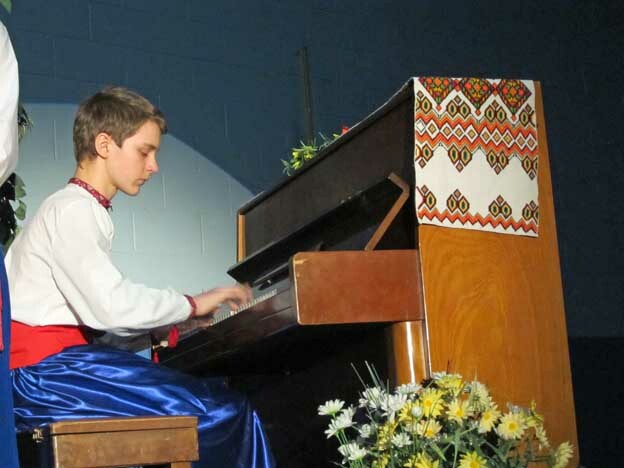 The format of the two Ukrainian concerts were very similar to the Christmas concerts last December – the first performance was a dress rehearsal at 1:30 in the afternoon, and the second was at 7:00 in the evening. 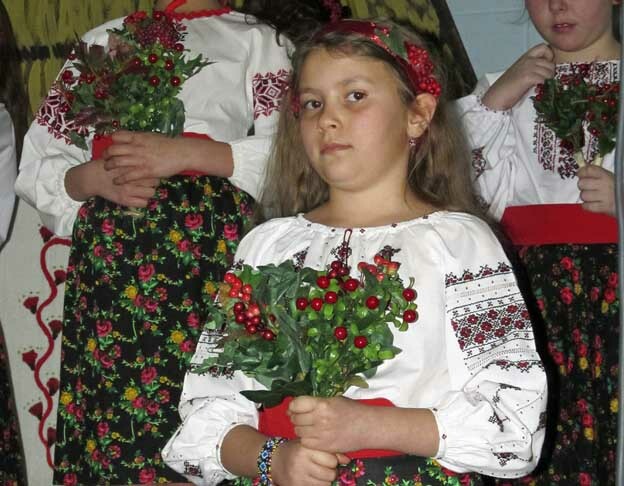 Students performed the concert twice that day to accommodate the various schedules of parents and relatives. Since most parents came to the concert that evening, the afternoon performance was an excellent way for the students to tighten up their act while performing in front of a smaller live audience. 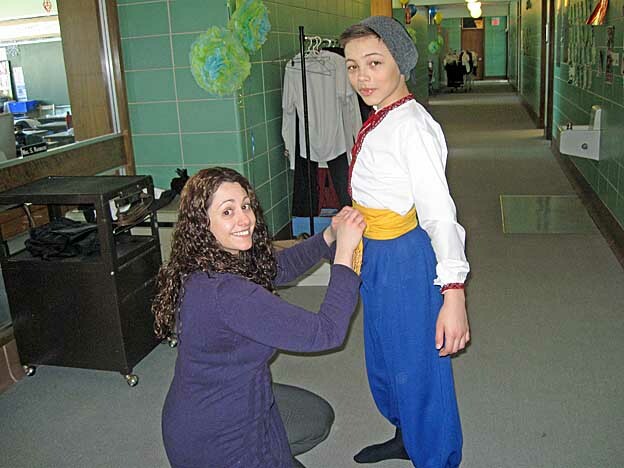 Ms. DePiero helping junior high students with their outfits before the matinee performance while Mr. Fil attends to some last minute details in the gym. 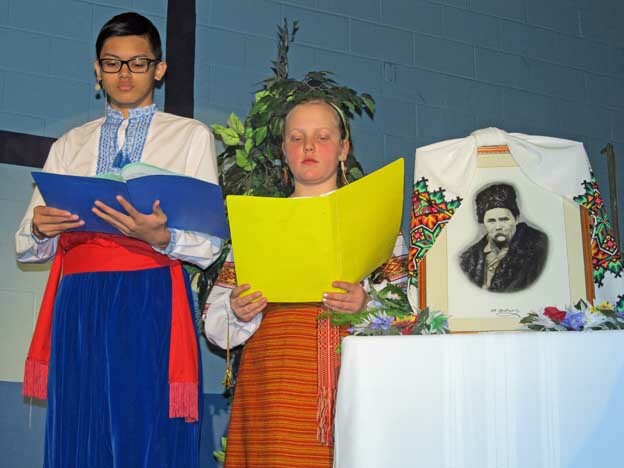 “Taras Shevchenko – Sun of Ukraine” was a series of short vignettes about the the life and times of Taras Shevchenko, including the tremendous influence his poetry and artistic talents had on the Ukrainian people. The concert showcased some of the events and circumstances that inspired his literary work. This was done through narration and various musical numbers interspersed throughout the concert. 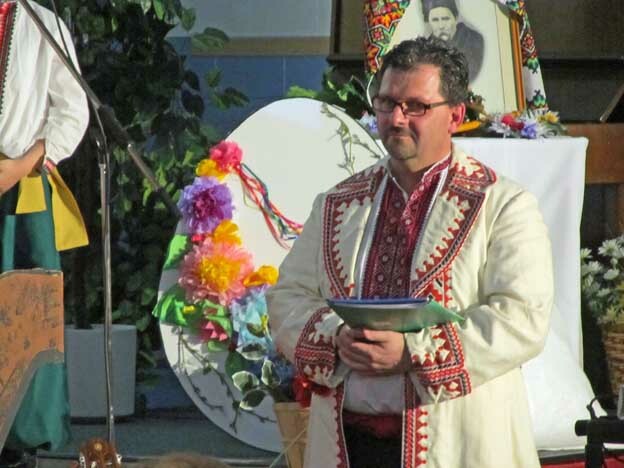 For example, Shevchenko’s poetic description of the coming of spring or the beauty of a Ukrainian village underscore the artistic genius of the man who helped develop patriotic pride and a strong Ukrainian national consciousness that has persisted for almost 200 years. 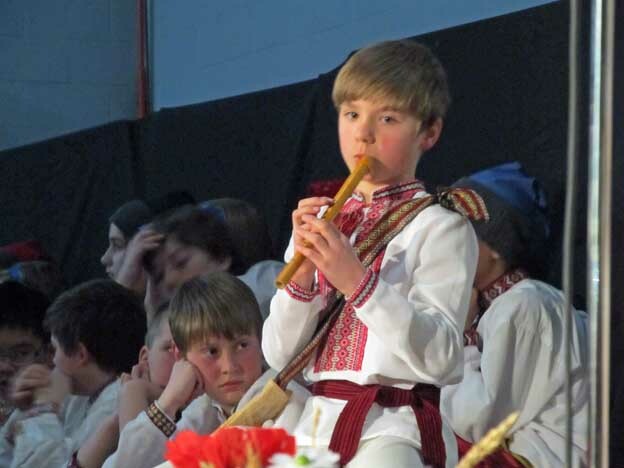 Thank you to our Ukrainian/Music teacher, Mrs. Stanowych, who wrote the narrative script for the concert, prepared the students for all the songs, and directed the concert! This was a lot of work, and involved weeks of rehearsals to make sure everything was just perfect. 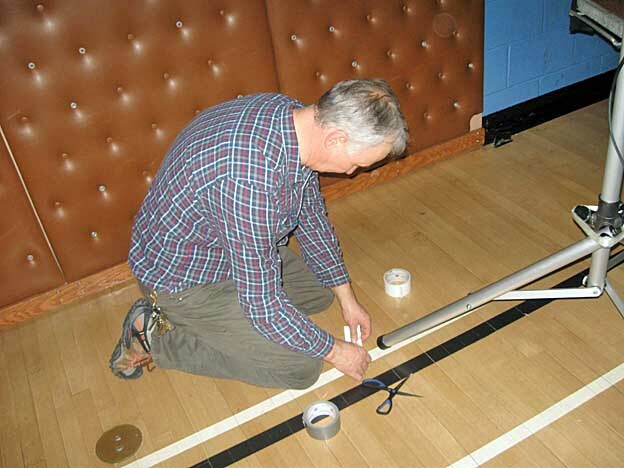 Thank you also to the rest of the IHMS staff for their various contributions to the concert. A lot of hard work and effort went into its preparation, but it was well worth it. 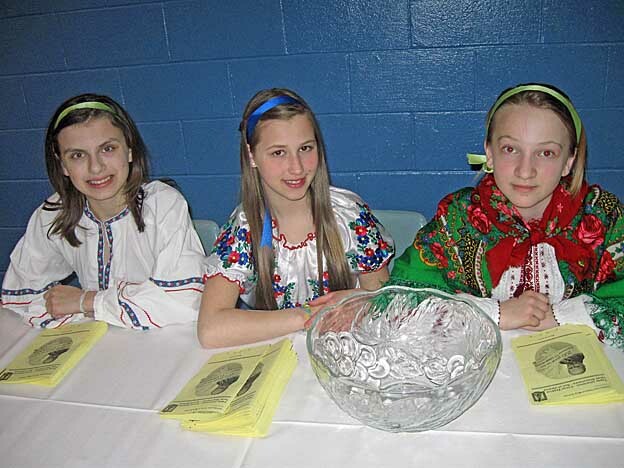 The audience enjoyed themselves, and “Taras Shevchenko – Sun of Ukraine” appeared to be a great success! 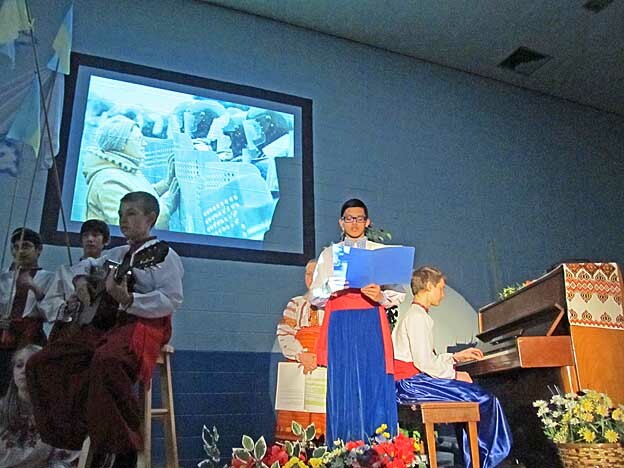 Professionally filmed DVD’s of “Taras Shevchenko – Sun of Ukraine” will be available for purchase through the school office.